Ram Type: No provision for adding additional memory. 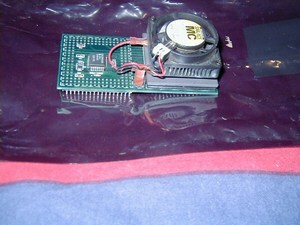 The Quaddoubler is not strictly an Amiga product but an exception has been made because they were frequently used with the Amiga. 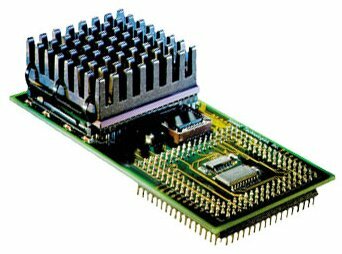 The Quaddoubler is a small PCB (2" x 4") containing either an 040@40mhz or an 040@50Mhz with a heat sink. Some versions may also have a peltier cooler attached. The idea is that you remove your existing 040 and replace it with the Quaddoubler increasing the speed of your machine. 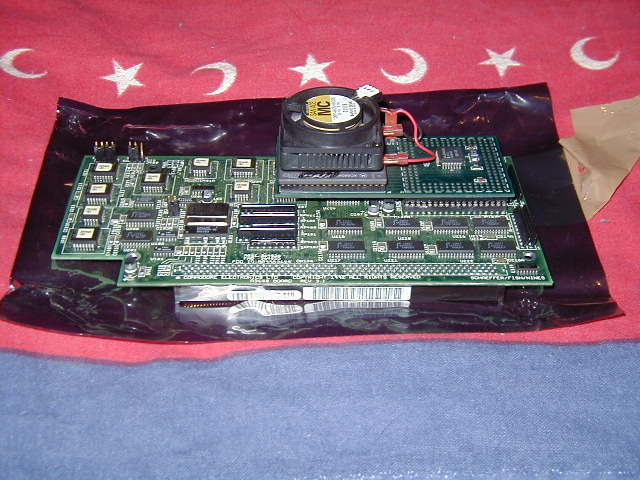 Several models of Quaddoubler were produced and not all are suitable for use with the Amiga. The Quaddoubler used must be a multiple of the bus speed of the accelerator, for example if your existing accelerator has a 25Mhz 040 then you can only use the 50Mhz Quaddoubler, not the 40Mhz version. Working Quaddoubler and Accelerator combos.